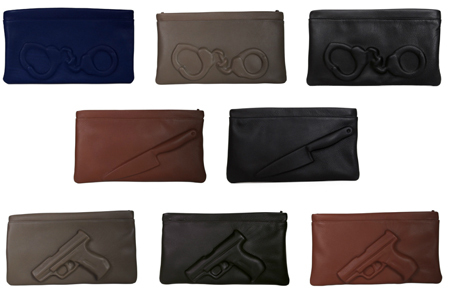 i bet these clutches are fun to carry through airport security! This entry was posted in fashion and tagged handbags, handcuffs, knives, pistol, vlieger & vandam. Bookmark the permalink.